The Tama Superstar Classic Exotic CL72R Sapphire Burst Lacebark Pine is a seven-piece drum set made of 100% maple incl. Stage Master hardware. The special thing about the Superstar Classic Exotic series is that the outer layer of the shell is made of Lacebark Pine and is provided with a noble lacquer. The seven drum shells are made of exquisite Maple and equipped with high-quality shell hardware, such as the Star Mount, the Classic T-Badge and triple-flanged hoops. 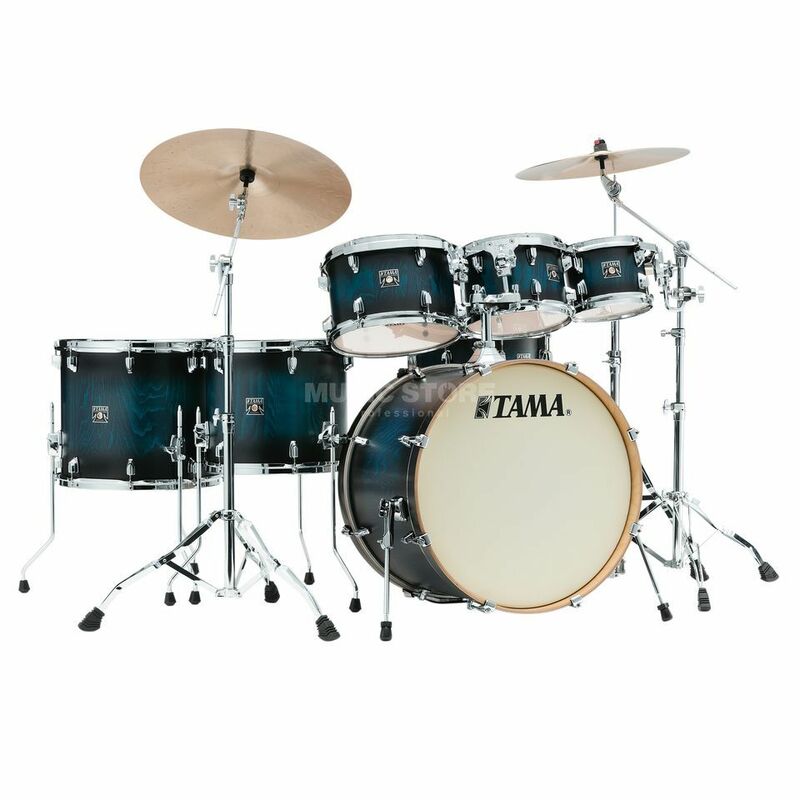 Due to the thin wall thickness, the Tama Superstar Classic drums produce a warm and assertive sound, which remains in tune and balanced thanks to the accurate 45° bearing edges and the Tama Power Craft II heads.